You'll be £4.99 closer to your next £10.00 credit when you purchase Coming Home. What's this? 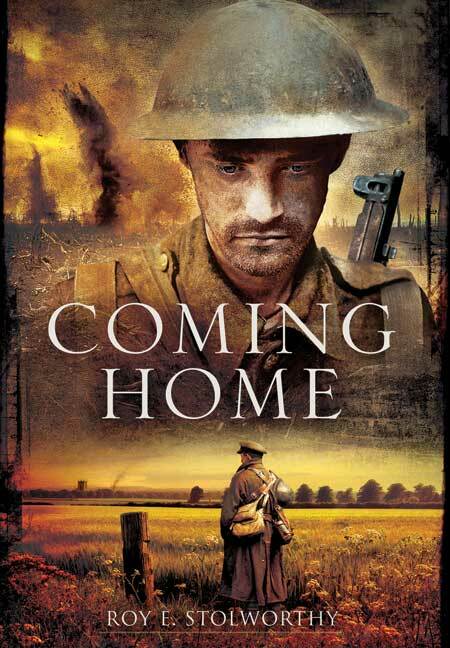 A brutally honest portrayal of the realities of war, this novel relays the story of 15year old Thomas Elkin as he engages in the First World War. A tale of conflict, both global and personal, and of redemption, this is a novel that has the potential to rank alongside the best of retrospective First World War literature. Accepting the blame for the accidental death of his recently conscripted brother, Elkin switches identity with his dead brother and enters into the fray of the conflict. His burning ambition is to die a glorious death in his brother's name. Believing that, in fully submitting to the reality of war he is atoning for his sins, he faces all the attendant horrors with a steel will and a poignant resignation. His personal conflict sees itself mirrored in the wider events and soon the two are inextricably linked raising issues of mortality, morality, guilt and faith. This novel enacts the kind of existential crises experienced on the battlefield with the constant threat of imminent and fatal danger a companion. Written with deft skill and sensitivity for the subject matter at hand, this is a piece of stylish work that places the reader at the heart of the action. Featuring nuanced characters and vivid action scenes, it works to evoke a real sense of the times as the story unfolds. The Author cleverly opens with a horrendous domestic incident that not only sets the tone of the novel but also hooks the reader into the situation of its central character. This is a fascinating novel and one not to be missed. Now retired, Roy E Stolworthy lives with his partner, Janice, of 25 years on the outskirts of Northampton. His parents, from the East End of London, were evacuated during the war. With an urge to see the world he signed up for a nine year regular engagement with RAF, quickly discovering a deep aversion to military discipline. An avid reader of anything close at hand, he always knew somewhere down deep inside of him he had a book waiting to be written. ‘Coming Home’ his first book, was shortlisted to the final 140 from 24,000 entries for the 2010 Brit Awards in London for unpublished fiction. His second book ‘All In’ a thriller is at the moment available as an e-book.